We are one of the most reputed leading manufacturer and suppliers of world famous Raisins of all types that are made from seedless grapes alongwith We are engaged in offering rich quality Dehydrated White Onion Powder. They are very rich in taste and have a high nutritional value. Onion power and Raisins, offered by us, are well scrutinized in terms of quality, taste, colour & shape. Our purpose is to achieve the highest possible quality standards of any processor within the Indian Raisin/Onion powder Industry. The range of Raisins and onion powder offered by us, is widely appreciated for its freshness, high nutritional value and superb mouth lingering taste. 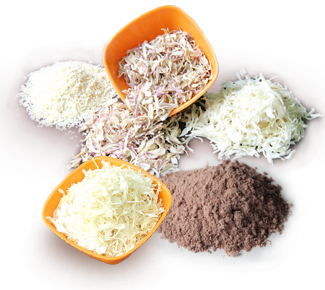 Aarav Agro Industries is having the world's best & latest technology and equipments for the processing of onion powder and Raisins in India. Aarav Agro Industries prides itself in being committed to customer service and satisfaction to ensure customer satisfaction among its reputed clientele spread across globe. Our professionals make sure, the raisins we offer our clients are of the premium quality and are appreciated for their rich taste and high nutritional contents. 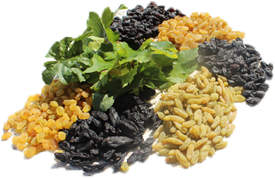 The raisins are used in delectable dishes and cuisines across the globe. Moreover, our clients can avail these at the most economical prices. Our clients can avail these Raisins in various qualities packing in accordance their requirements and affordability. Grape cultivation is one of the most remunerative farming enterprises in India. Nasik is well known & most famous for quality Table Grapes all over the world. Nasik grows & exports mouthwatering tasty grapes to several countries in Asia, Africa, Gulf & Europe. Nasik has is rich in other horticulture and vegetable resources, Onions, Organic Grapes, Indian table Grape Varietals, Raisins etc. We Aarav agro industries based in Nasik City choose the finest quality Grapes to make Finest World Class Quality Raisin. The grapes are grown by our reputed vendor farmers specially for us right form cultivation to full growth fruit ready for harvesting, with view of making utmost quality Raisin after technical are & artful process for converting them into Raisins. We’ve owned and operated one for more than a decade! We understand about staying competitive and being vigilant about food costs. That’s why we will always sell our dried fruit at the best possible price. That’s our guarantee. We never cut corners on quality, cleanliness, product integrity or environmental stewardship. Our raisins are exported from India to about 30 countries including U.K., Netherlands, U.A.E., Bangladesh, Germany, Belgium, Saudi Arabia, Oman, Kuwait, Sri Lanka, and Bahrain.